Will eVTOL take over the commercial small-helicopter market? Interesting that today, Uber cancelled their driverless car project after one of their cars killed a lady. I reckon this will help to kill pilot-less passenger ops too. Besides the 'fact' that most experts think it will be easier to implement '3D auto-piloting' than '2D AP'. The helicopter industry is divided on the future of EVTOL 2018-industry-split-on-air-taxi-power my stance is similar to the opinion that Sikorsky has, autonomous but conventional rotorcraft are the most promising. Since 80% of helicopter accidents are caused by operation, the accident rate could possibly be reduced by at least 80%. 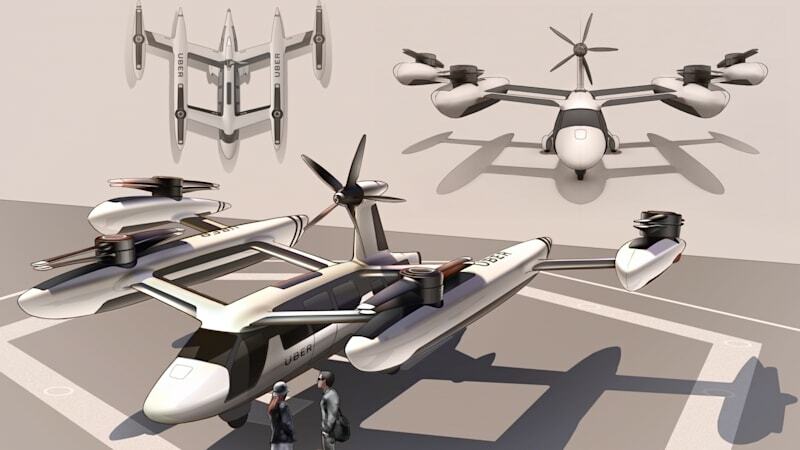 EVTOL will probably find a niche, like short distance building-building shuttle. I've been to that particular conference, what a coincidence. 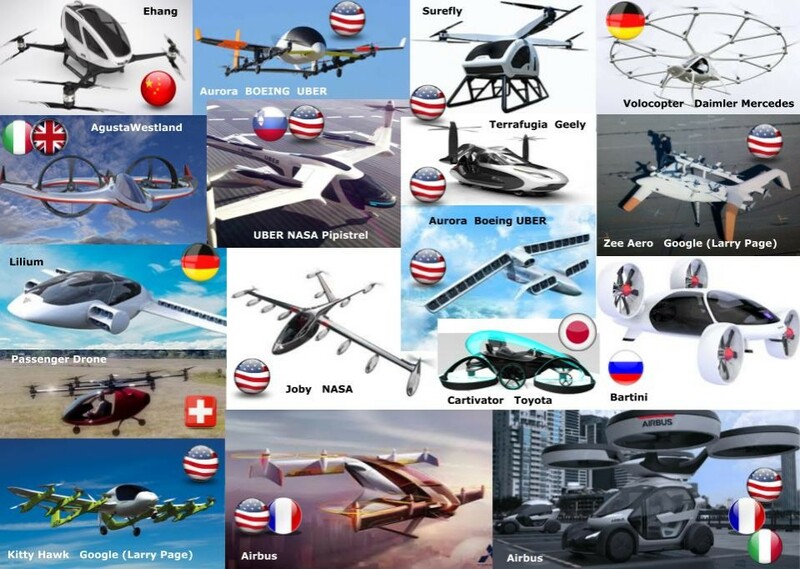 Here is an overview of all known eVTOL projects, the U.S. proudly leading. Hi voyagerB, thanks for posting about this, I was actually about to make a very similar post as my first post on this forum (I've been a lurker for years). As a 20-something year old very close to my PPL, and highly considering a career change, this is something I'm very concerned about. As expected, there are a lot of people instantly being dismissive. But I think it's foolish to instantly dismiss eVTOLs having a significant impact on the market. Uber is working with the right people regulation wise as well - they had the acting administrator of the FAA at their Uber Elevate summit yesterday! And he sounded quite supportive. As well as partnerships with Bell, Army research lab, and other manufacturers. Clearly, these guys know more about the feasibility of making this happen than we do. I'm fairly confident that in the next 5-10 years, we will see their vision start to take off. The question for someone young looking to enter this career like me though is - how soon until eVTOL and autonomous aircraft starts having a big impact on the employee-ability of helicopter pilots? What happens if there's suddenly a huge oil crisis? I'm nervous about these things. I think it may happen sooner than most people think. The pace of technology is moving MUCH faster than it was twenty plus years ago. Uber and NASA, why am I not surprised? We've been ridesharing to space for years now. I'm puzzled as to why all these futuristic air frames have multiple 'props' instead of rotors? It can't be efficiency or that configuration would be flying now- lots of early vertical flight tried multiple props. Is it to ease transition to higher speed flight? The S97 scoots right along, Bell held the rotorcraft speed record for years with the 533 (an early, highly modified production UH1 with jet engines providing thrust), and the Fairey Rotodyne was pretty quick. Does the layout seem familiar, scalable because of drone popularity? Apples and oranges, I think. Drones fly pilotless or remotely controlled enabled by systems that allow stability and navigation with minimal training. Those systems would work with conventional rotors as well, yes? Even in a compound helicopter/rotodyne, I think. Efficiency will be at least as important in a battery powered aircraft, if not more so. Final thought- the popularity of these will require sophisticated air traffic control interfaces. Urban skies get pretty crowded now with conventional aircraft. 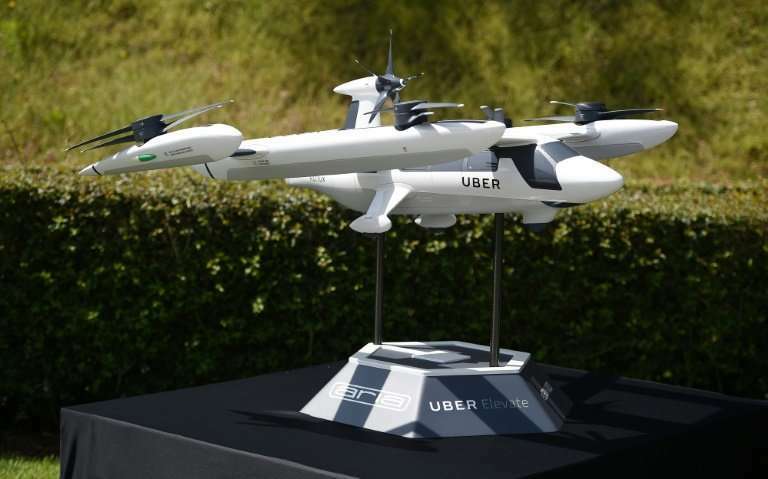 That straight-line high speed flying taxi thing has a lot of hurdles. Edited by Wally, 09 May 2018 - 16:10. Wow, that latest pic has some serious design things to sort out - how to slow and stop the rotors at 120-150 kt (when the wings can support the flight) and then make the mast retract into the pod, and then bring them out again and start up at the same speeds to enable the landing. And this is times four - a little fault with one pod coming back out for the landing, and the machine will have to land with speed, at a runway. But the people playing with the graphics to draw these things are getting paid, so there is some money in this game. I assume they opted for FPPs for the sheer simplicity, low maintenance and low costs of them. Notice that the model (probably) features co-rotating blades (rather than contra-rotating). NASA found out that stacked coaxial co-rotators have a better efficiency contrary to what had been assumed until recently. Less noise too (which is a form of waste). Another challenge the EVTOL community faces is payload. Most scaled up quads Surfly, Ehang ect can only carry 1.3-1.4x their empty weight, compared to some turbine rotorcraft that can carry 2x empty weight. Have answered your first question, I guess. Means that the FPPs rotate at a (reasonably constant) speed which is energy-efficient. One can imagine that the push prop will have variable blade settings. Low level ATC through V2V connectivity and GPS. Auto-piloting comes next. Vehicle autonomy is considered easier to implement in the 3D compared to the more complex '2D pane'. Energy efficiency is everything, particularly for battery power. The hope/expectations is for Next-Gen batteries with a much higher energy density. Notice the big pods. A high portion of the eVTOL's own weight will consist of batteries.